A new blood test is being developed at The Australian National University (ANU) that can detect patients at risk of dry age-related macular degeneration (AMD) and potentially save millions of people from going blind. Dry AMD is a common eye disorder that is caused by damage to the macular - the part of the eye that is responsible for our sharpest vision. It can takes years for signs of dry AMD to be found in the eye and often by the time it is diagnosed the disease is irreversible. 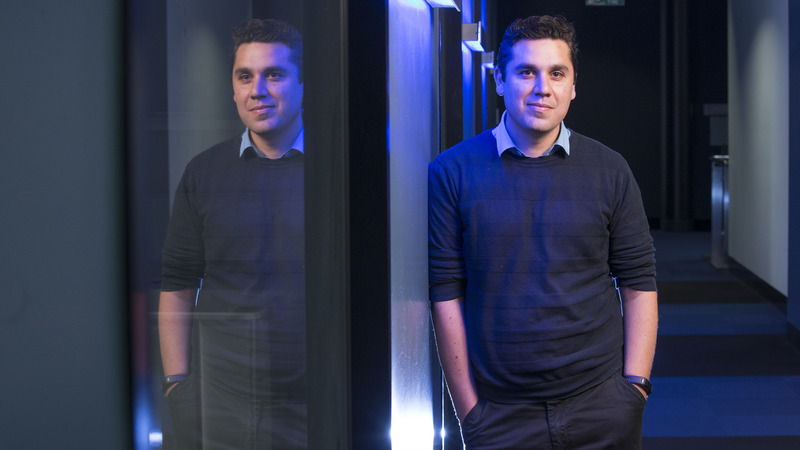 Lead Researcher Dr Riccardo Natoli, from The John Curtin School of Medical Research and ANU Medical School, is developing a blood test to detect the disease earlier based on a model he has developed. “The detection mechanisms we currently have for dry AMD happen too late,” said Dr Natoli. “Once dry AMD starts there is a threshold tipping point and once a patient gets over that point there is nothing that can be done to save their sight. Researchers used a light model, thought to be the first of its kind, to better understand how the deterioration of the retina’s photoreceptor cells in the macular. “From our modelling we noticed an inflammatory response was happening as a consequence of the damage,” said Dr Natoli. The ground-breaking research is backed by the Translational Fellowship Program and Beta Therapeutics that has teamed up with ANU to start testing drugs to slow the inflammatory response down. “The macular is the part of the retina that helps you see the grooves on your fingerprints. It is only 5.5 mm, so if an area equivalent to the size of a pin head starts dying - it renders you legally blind,” said Dr Natoli. “Once that’s lost, there is no repairing it. “By looking at these photoreceptor molecules in the macular and understanding how they function, we will be able to early predict or diagnose a patient that is having systemic inflammatory responses. Jan James, who spent her career helping the blind, was recently diagnosed with dry AMD. Mrs James, 78, is starting to struggle with computer work and finds it difficult identifying numbers. The Canberran doesn’t drive at night and has moved to ground floor accommodation near a bus stop to combat future worries about her mobility. Dr Riccardo Natoli says he wants to save the sight of millions of people like Mrs James. “There are 200 million people around the world that suffer with AMD and our hope is to try and slow the progression of vision loss allowing more people in our global community to share in our wonderfully beautiful visual world,” said Dr Natoli.